View and/or download the current bylaws for BirthSmart. 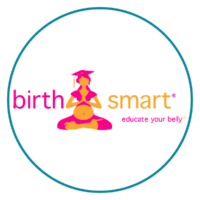 BirthSmart will provide balanced education to pregnant women, birth professionals and the community as to the goods, services and resources available for creating a healthy and satisfying birth experience. Founded in April, 2009, BirthSmart™ is a community based volunteer organization founded on the belief that birth is a normal, healthy family event. BirthSmart™ provides information related to goods, services and resources available in the Grand Valley of Colorado, helping women and their families achieve empowered pregnancy, birth, postpartum and breastfeeding experiences through evidenced-based education. The Mama Matters program is dedicated to increasing access to prenatal and postpartum services for the low-income, at-risk and underserved communities in Mesa County. Birth & Baby Expo - A free-to-attend, bi-annual event showcasing everything pregnancy, birth and postpartum related in Western Colorado. Let's start doing your bit for the world. Donate a little. BirthSmart is a 100% volunteer run organization. Comprised of birth professionals, businessmen and women and birth enthusiasts, our volunteer Board spends hundreds of hours every year bringing un-biased, full-spectrum education and birth resources to the Grand Valley.